Hard Money Lender Denver Colorado. Private Lender in Colorado. Local Hard Money Lender in Colorado. If you are new to real estate investing, follow our blogs! You will learn how to submit a loan package, determine ARV, why use a hard money lender and so much more! This property was purchased at the end of June 2018 for $195k by an experienced flipper. This borrower requested a hard money loan amount of $180k. Rehab for the property was $35k. The flip took 4 months. Title took a good deal of time to close because several deceased persons were on title. All parties of the transaction had to be patient to await clean title from seller’s representatives. Gas and Electric had been off at the home for a significant amount of time that Xcel required the borrower to obtain new service as if the home was newly constructed. This line item was over budget as that was unforeseen for the borrower. What To Submit in a Loan Package? As Lenders, we are very excited to hear about your project and look forward to a successful working relationship. We just can't give you any clear cut answers without information first. if you have experience flipping in the past or you work in the industry as a carpenter, handyman, etc. If you are able to submit a complete packet to a lender, you will be very pleased with their response time! How to Make Your Curb Appeal! Curb Appeal begins online: Most buyers in today's market look at homes online before ever speaking with a Real Estate Agent. Have professional photos taken that show the exterior of your property. Walk a Mile in the Buyer's Shoes: walk around the property and pretend you are purchasing it. What would you like fixed if you were buying this home? If you need a second opinion - get one, the more critical the better. You don't have to fix everything, but it is important to see what the buyer sees. How's the Roof? : Not only will most buyers be concerned about a roof, all inspectors they hire will be. Make sure you know if something needs to be done. Better to fix it before getting to the negotiation. House Numbers: Can a buyer find the house? If not, that needs to be corrected. With modern fonts, you can really dress up the exterior as well. Cleanliness is Next to Holiness: Rent a pressure washer and make sure the exterior is clean. Color: Either place or ask your Real Estate Agent to think about placing some colorful plants near the entrance. Mow the Lawn: I know that it isn't a big ticket item that buyers get excited about like kitchens and bathrooms, but don't turn a buyer off before they get inside. Make sure the yard looks presentable. Hope these tips lead you to quick closings! Most people that we have come in contact with are unsure of what a mechanic's lien means but also are unaware of the dangers of having a mechanic's lien recorded on their property. First, a lien is a claim to a property to satisfy a debt, in simplest terms. There are many different forms of liens, but we will focus on what a mechanic's lien is and why it is important from a real estate investor's perspective to pay their contactors and suppliers timely and for the appropriate amount, but also require signed lien waivers from their contactors and suppliers. If a contractor performs work on a property or supplies construction materials for that property but the owner doesn't pay the contractor for the work or the supplies, then that contractor can file a mechanic's lien on that property. There is also the ability to claim interest on the money that is owed to the contractor. There are time stipulations of when a contractor can record the lien from when the contractor wasn't paid. So what does a mechanic's lien do when it is filed on a property? When a mechanic's lien is filed on a property it means that the owner of the property will not be able to sell or refinance their property until the lien has been paid off or a bond has been posted. That lien could turn into a court judgment and if the contractor wins the lawsuit then the contractor might be able to force the sale of the property. Hopefully it is clear that it is important for real estate investors that are doing renovation/upgrades on their property to pay their contractor(s) and supplier(s) for the work that they perform and the supplies that they provide. This blog is intended as general information only, and not as legal advice for any specific situation. If you have a legal problem, you may want to check with an attorney. Why Use a Hard Money Lender? Hard money lenders are usually widely misunderstood, especially with investors new to Real Estate. As soon as we mention what our range is for interest rates, we see THAT look. 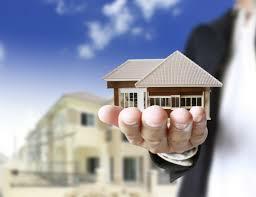 It would be beneficial to explain why hard money lenders exist and how they can help new and experienced real estate investors become successful in the real estate industry. First of all, if everyone was able to get approved for a loan through a large financial institution, then there really wouldn't be a reason for hard money lenders to exist. The majority of us would want the less than 5% interest rate rather than 10-15% interest rate. Unfortunately, not everyone can get approved for those. Most of us have a mortgage on the home that we live in - going against the steadfast debt-to-income ratios required by banks. Do you have perfect credit? Not everyone does. People with spotty credit or people that have many different loans in their name have a hard time getting approved through large financial institutions. That's where TABS, LLC comes in. Hard money lenders lend on the asset more-so than the borrower. If the deal is good, the credit of the borrower does not need to be perfect. However, most lenders will still run a credit report on the borrower. Most hard money lenders instead, focus on the asset itself. While we can't speak for every hard money lender, we can speak for us. The first thing we focus on is the project: what is the investor paying for it and how much will it be worth after repair. The good thing about hard money lenders is that we provide short term loans and we can close quick! Most real estate investors can turn to a hard money lender who offers bridge loans between acquiring the property and seeking permanent financing for the property. Especially if time is of the essence and they know it's a great deal but they don't have time to wait to get approved through a bank. Additionally, most sellers that real estate investors work with are motivated and want to get the property out of their hands immediately. However, be cautious and knowledgeable about the minimum holding period before you can refinance out of a hard money lender. Another advantage of a hard money lender is that most of us provide the construction/renovation costs for the property. As you can imagine it takes time to get approved for a construction loan through a bank (and could be very difficult if there is already a loan on the property), why not combine the two? We hope that this clarifies what a hard money lender does and how they can help you and your business. Remember, also that we are a resource and want to help you make money! Wishing you success in all of your endeavors! Everyone who does real estate investing should treat it as a business. If you start off on the right foot, then there is a higher probability for success. It's important to know the basics of real estate investing, prior to making any large mistakes. This blog will help you out with some fundamentals and help you be successful. Many new real estate investors seem to think record-keeping isn't important. If you don't keep good records of your investments, how do you really know how they are performing? If you keep excellent records on all of your investments it makes every year around April 15th go much smoother as opposed to rummaging through your piles of paperwork trying to put everything together just weeks before tax time. If you have a renovation loan with a lender, it is especially important to keep meticulous records of all the receipts and payments you have made to construction laborers and suppliers. Most lenders, if they are providing construction loans want all the work and material that have been done on the home accounted for. And if you are partnering with another party for your real estate investment, they will also want to see how monies were spent. Whether you are planning on fix and flipping a home or buying and holding it, you better know before you purchase the home. Especially if you are utilizing a hard money lender, they like to know what your plan is. Not having an exit strategy is like having the cart before the horse; it becomes very challenging to make a successful real estate investment. This is especially important with market volatility. Unfortunately, no one is able to predict the market, so it's important to have a plan in place in case the housing market crashes, again. You shouldn't just count on everything working out perfectly, but run several scenarios so that you cover yourself. Have a plan for if you are not able to sell the property for your estimate because of a market shift. Are you able to hold it and rent it out? Can you move in and assume payments?The last thing you want to happen is lose the property in its entirety and have a foreclosure on your record. This will tie in to a latter point of unrealistic math. Before you purchase a property, know what your investment expenses are going to be. Do factor in carry costs such as utility, water/sewer, taxes and trash. Some first time real estate investors seem to forget to factor in the carry costs and later find out that it might not have been the best investment. Not only should you factor in your carry costs, but you should also factor in other costs as well such as potential legal fees, improvements/maintenance, bookkeeping and eviction if necessary. Does the investment still work if you have to pay the loan for a longer amount of time than your original estimate. Most successful real estate investors envision the future of the neighborhoods in which they build. As the population continues to increase, there will be more up-and-coming neighborhoods than just the ones that are currently popular. If you own real estate in future areas of redevelopment and hold onto them for the next 15-30 years it makes not only finding and keeping good tenants easier but also it will maximize your return. You will find yourself paying a higher premium in the already established neighborhoods. It's also extremely important to drive by the property at different times/days in the week to make sure you are comfortable with your investment. If there is a freight train that comes barreling right by your investment at 5 am every morning, it may make buyers think they could get your property at a discount. Don't get me wrong, leveraging yourself can be extremely beneficial and useful. It is when you start to over-leverage yourself that you can get into trouble. When you over-leverage yourself it means that you have too much debt that you can't make the monthly interest payments. Most successful real estate investors build their real estate investment portfolio over a period of time not right away. Especially if the market crashes, and you are overleveraged and housing prices fall, it will be hard to recoup anything and most likely you will be facing foreclosure and perhaps even bankruptcy. First of all, if you are renting a property don't just assume the vacancy rate is going to be 5%. Do your research and check the average vacancy rate within the area of your rental property you are planning on purchasing. Additionally, I see the biggest error on maintenance/improvement expenses. Don't just plug in a number into your excel spreadsheet, do the research to find out exactly what type of improvements and repairs you will need to do and which ones will help your bottom line the most. Lastly, make sure you are coming up with realistic numbers for the ARV (after repair value). Do your research, check recent market comparables to make sure your numbers are accurate. Also have the data to back up your numbers. Don't just trust your real estate agent to come up with the correct ARV, double check their work to make sure it's accurate. TABS, LLC is a family owned and operated hard money lender and investor in Colorado. We are a privately funded commercial lender that provides loan programs for both residential (non-owner occupied)and commercial properties in Colorado. What makes TABS, LLC unique? We create value by our ability to act quickly and professionally. An advantage of our private money is our negotiating power and that our clients know they are always speaking with a decision maker. Our goal is to continue to have repeat clients and to bring on new clients so that they are able to create successful real estate deals. TABS, LLC is also an investor in early stage start-up technology companies and in real estate development opportunities throughout the Denver Metro Area. Learn more about what TABS, LLC has to offer.